From the gown to the mantilla, Spanish brides shine in traditional wedding pieces. 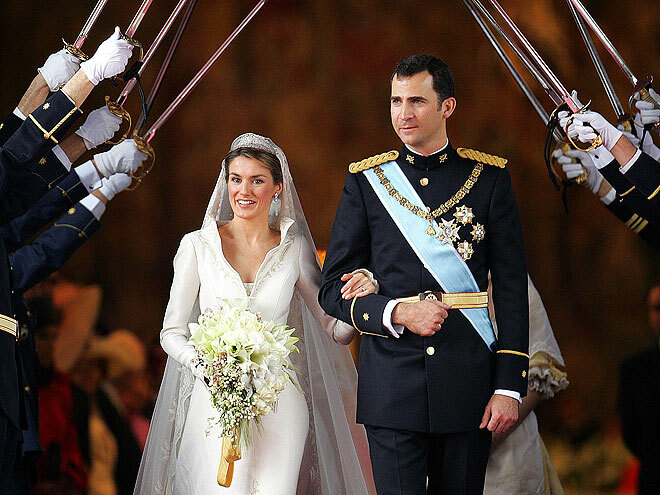 Spain’s Crown Prince Felipe when he married Letizia Ortiz in Madrid. 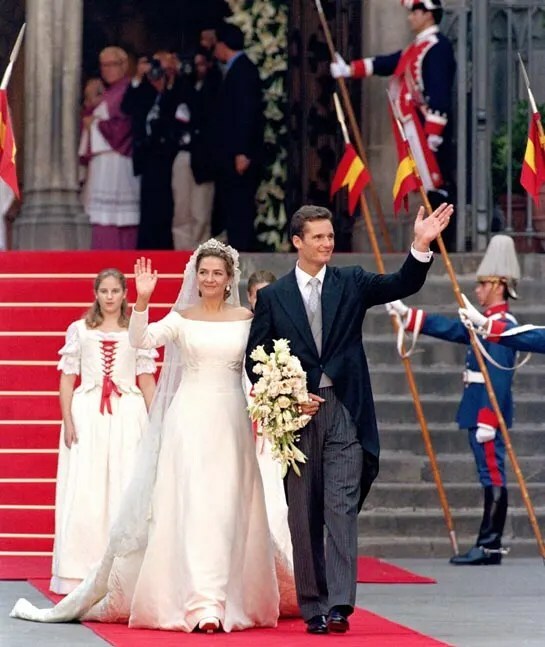 Felipe is the only son of King Juan Carlos and Queen Sofia. Traditionally, the mantilla, (or veil) was made of only lace. Today, you can find both lace veils, and sheer veils with lace trim. The veil is placed over a fan-shaped peineta. This will make any bride look like a queen. The peineta comes in different sizes and shapes, so you can choose how high you want it. 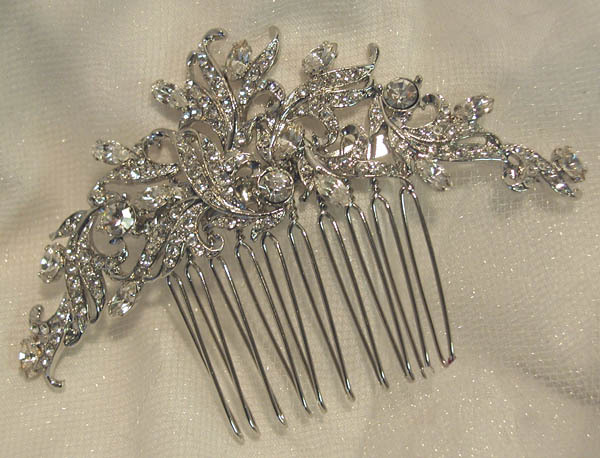 Sterling silver and Swarovski crystal comb from La Parisien. Hand crafted peineta made with crushed shells and other special materials from Lands Far Away. Spanish style wedding dresses are elegant and form fitting. There are a variety of Flamenco style wedding dresses available online. Traditionally, brides carried fans down the aisle but, today many brides carry a bouquet of red flowers. Did you know that traditionally, Spanish brides wore black dresses? The black dress signified that the bride would remain faithful until death.